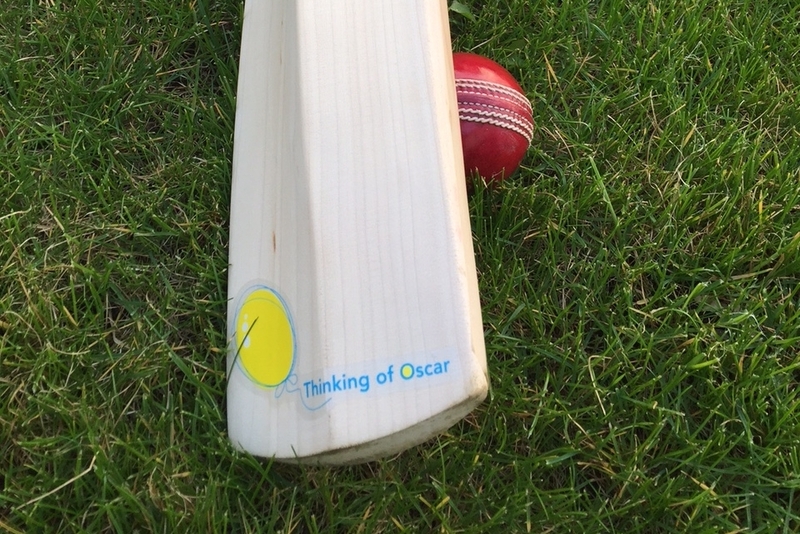 On the weekend of June 5th and 6th 2015 we held 2 cricket matches played in support of Thinking of Oscar. Both involved the club that David played for growing up, Leigh Cricket Club, who are based in Surrey. Firstly on Friday June 5th there was a Twenty20 match played in Kirtlington, Oxfordshire between a Kirtlington Village team and a touring side from Leigh CC. This was then followed on the Saturday by a game between Middleton Stoney CC and Leigh CC. Middleton Stoney is the club that David now plays for. Both games were wonderfully supported with what seemed like half of Kirtlington turning out in glorious sunshine on the Friday evening. After the game on the Saturday we held a Charity Auction to raise money to buy vein finding technology for the Oxford Children’s hospital. You can read more about the technology below. We were fortunate enough to have some wonderful prizes up for grabs in the Charity Auction, including use of holiday homes in the South of France, Cornwall, Spain and Florida, a tour of the McLaren F1 technology centre, signed football, cricket and rugby shirts, T20 Cricket tickets to Lords, personal training days and more. We would like to thank everyone that donated towards the auction. The night was really made by the presence of BBC Celebrity auctioneer Charlie Ross who stole the show and helped us to raise in excess of £12,000 which we hope will buy at least 4 AccuVein devices (we had hoped for 2). We have been working with a company called Q Medical Technologies who are a UK supplier for a vein finding technology called Accuvein, on a trial at the Oxford Children’s Hospital. These devices help make procedures such as blood tests and the insertion of cannula’s into children a little less intrusive. During the trial one doctor fed back to us that they had a child who they had tried to take blood from 7 times, failing each time. As soon as they used the vein finder they were able to complete the procedure first time. Unfortunately when Oscar was in hospital this technology was not available and because he was a normal chubby little 16 month year old his veins were not as easy to find as they would be on an adult. He therefore had to sit through many trial and error procedures where a doctor would try and get a needle into his hand or arm but fail because they were using instinct and the naked eye. He had many experiences of having his hands and feet creamed (with a mild anaesthetic) and then needle after needle being put into him in the hope of finding a vein. Once a vein has been used it cannot be used again for some time and in severe cases, when all the veins on a child’s hand and feet have been tried doctors would then need to find a vein in their head. This technology would help to reduce some of the guessing required and help to make the lives of children and their families that little bit more bearable in hospital. We are working on a trial with Q Medical and the JR at the moment and if successful we would then look to agree to buy a number of these units for the Children’s Hospital and neonatal units.